Who is behind Pineapple Fabrics? Dot Kimelman is the creative director and mastermind of Pineapple Fabrics. She has an exceptional eye for color, and assembles beautiful collections of fabrics for the Pineapple customer. Although Dot is pretty amazing she has a little help from avid sewers, project designers, graphic artists, and fabric cutting/packaging specialists, who combined make your shopping experience pleasant, convenient and inspiring. Why was Pineapple Fabrics created? 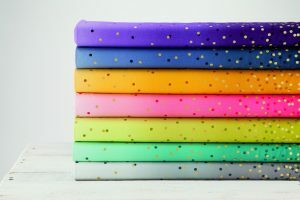 Pineapple Fabrics was founded on the idea of bringing something totally new (Pineapple Pack) to an, established industry like quilting and sewing. 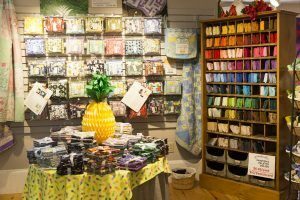 We want to give the Pineapple customer the opportunity to enjoy the creative process while taking away the stress of cutting and matching fabric colors or patterns. What makes Pineapple Fabrics stand out? We like to think outside of the box! Our vast supply of fabrics is sourced from the best manufacturers & bought in limited quantities. That makes our Pineapple Packs, Bonus Quarter Bundles and anything else like our Squares or Strips have a limited life. New products are created daily making this element of exclusivity unique in a industry where many products are mass produced. Also our Pineapple Pack differs from a standard quilt Kit. One pack gives you the choice of multiple projects to pick from where with a kit you only have one choice. 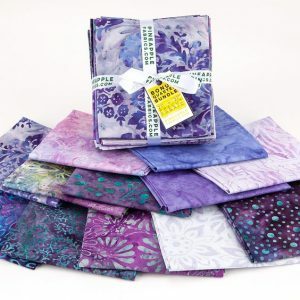 We have patterns that coincide with our packs including quilts, bags, purses, aprons, home decor items and more. 1 FREE pattern of your choice is always included with a Pineapple Pack purchase. Where is Pineapple Fabrics Located? You can always find us online 24-7! Our Offices and warehouse are located in Archdale, North Carolina and our brick and mortar store is located at 12 Main St, Center Harbor, NH 03226. When is the best time to use Pineapple Fabrics? Any time is the best time. 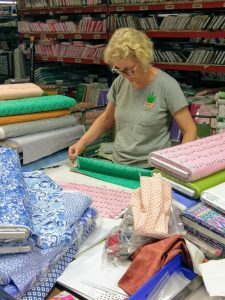 With so many patterns to choose from, different skill levels, ever changing packs & new products, Pineapple Fabrics could not be any more user friendly. The innovative packaging and exclusive projects will get your creative juices flowing immediately! So next time you are thinking about making something or looking for a new project, SEW it with Pineapple Fabrics. From our Pineapple family to yours ~ Create, Make & Be Happy! Thank you Deb! Make sure to check our new calendar dates that posted today for our next warehouse sale – Save the Date! Thank you for being here for all Quilters. I love shopping the warehouse sales and the classes are always informative. The best part is that you are located in North Carolina. I would like to know if you offer classes. We currently are not set up for that. We get asked all the time. This may be a possibility in the future, as Pineapple is growing, growing!